Learn how to play tunes in different keys, positions, and timings. Margarita Breakdown-Scruggs Style breakdown using Keith/Scruggs tuners. Danny's Dance In-6/8 time, this Irish Jig will broaden your banjo horizons. Iola-Explores the 'Melodic Banjo Style (D-tuning) key- D. Fisher's Hornpipe- Banjo players hated this one, until now! (G-tuning) Key of D. Lone Star-(G-tuning) Key of A-minor, this will help with all your minor chords, keys, and licks. One For The Road- uses a 'Diminished Chord' which is easier than you may think! Jerry's Breakdown- this Jerry Reed tune is interesting for banjo in the key of E! (Intermediate-Advanced) (80 Min.) (Video & Tablature) *The Allen Banjo Company of Houston, Tx is so impressed by these Greg Cahill videos that they put one in the case with every banjo they sell! 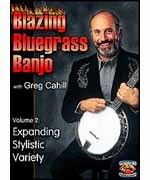 -------------------------------------------------------------------------------- About Greg Cahill Greg Cahill has Grammy nominations for one of his Banjo LPs, & several LPs by his Bluegrass Band, 'The Special Consensus'. He has recorded & performed with the likes of Jethro Burns & Byron Berline, & his playing can be heard on countless major radio & TV commercials & on recordings of various Country, Folk, & Bluegrass artists. 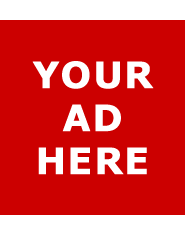 If you�ve seen a TV commercial featuring John Lithgow (from the hit TV series 'Third Rock from the Sun'), with a banjo, that�s actually Greg Cahill doing the playing! Greg has been featured twice on the cover of 'Banjo Newsletter' & appears periodically as a guest columnist. He teaches at 'The Old Town School of Folk Music' in his hometown of Chicago, & conducts workshops at music festivals & venues nationwide & internationally. He has toured with his band all over the U.S. and Canada, South America (Argentina, Chile, Uruguay), & Europe (England, Finland, Germany, Holland, Ireland, Scotland, Wales and Switzerland. Greg is on the Board of Directors of the International Bluegrass Music Association (IBMA), & is chairman of the IBMA 'Bluegrass in the Schools' committee.